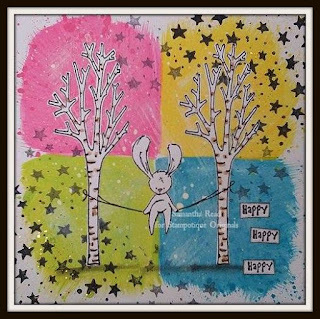 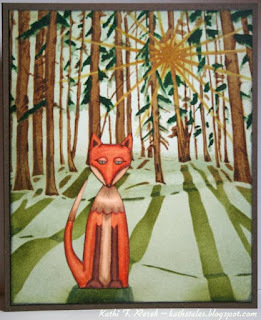 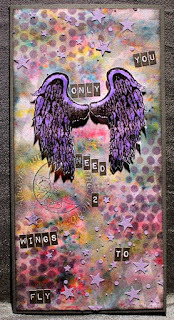 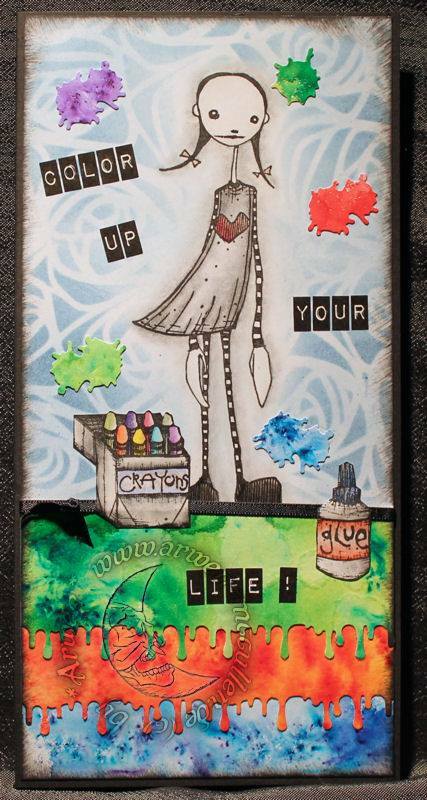 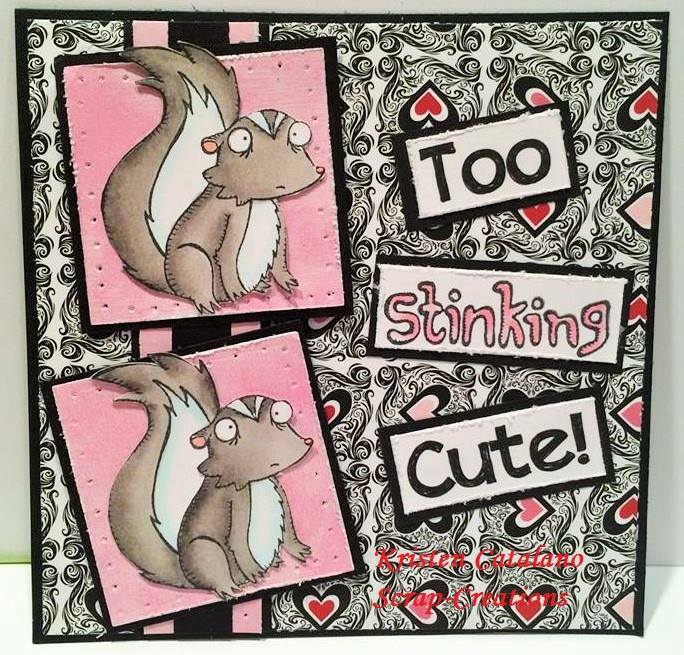 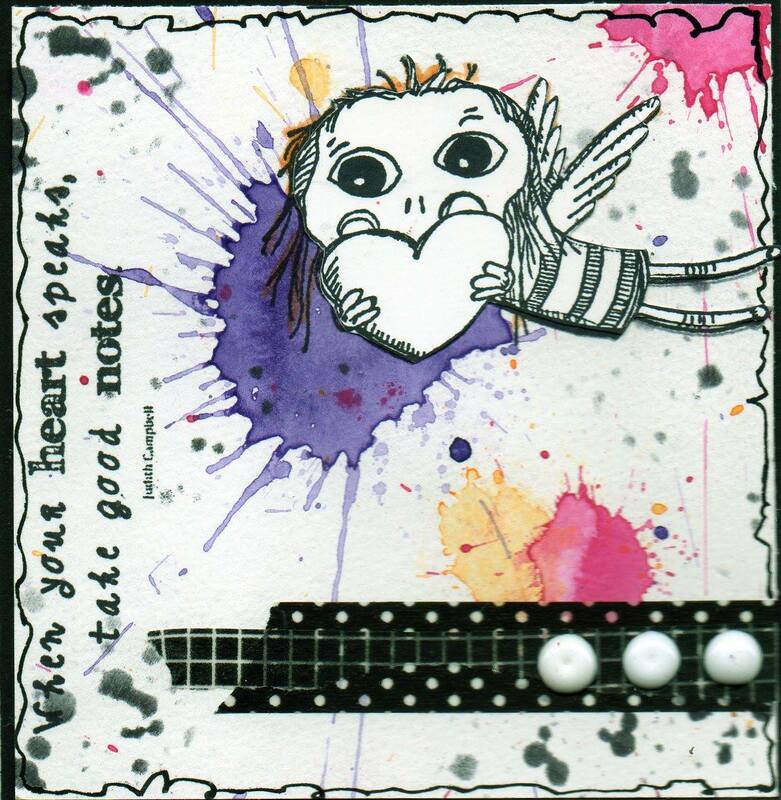 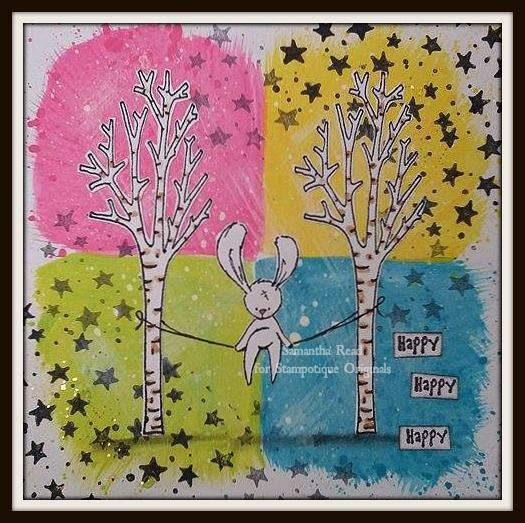 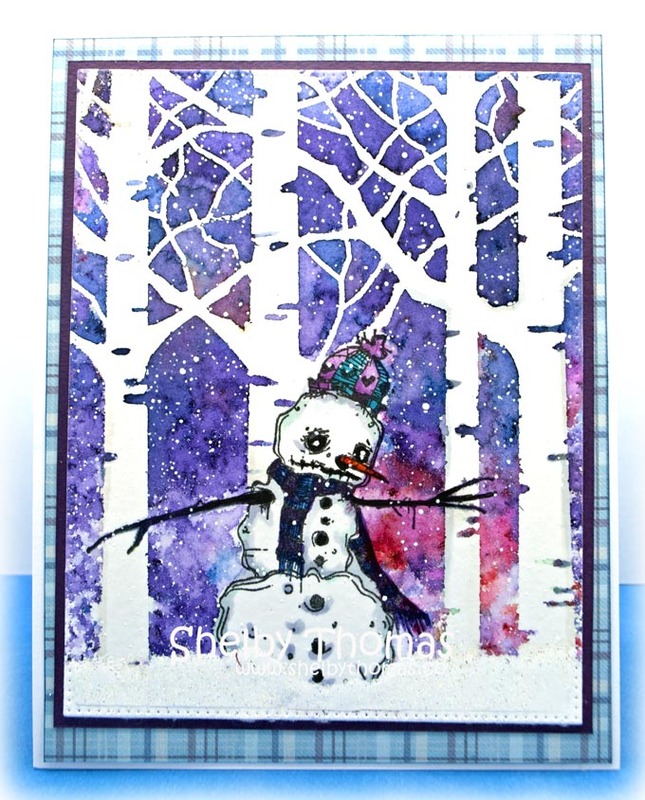 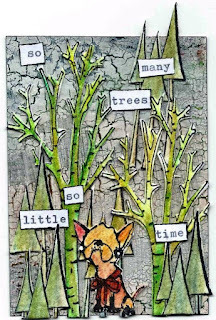 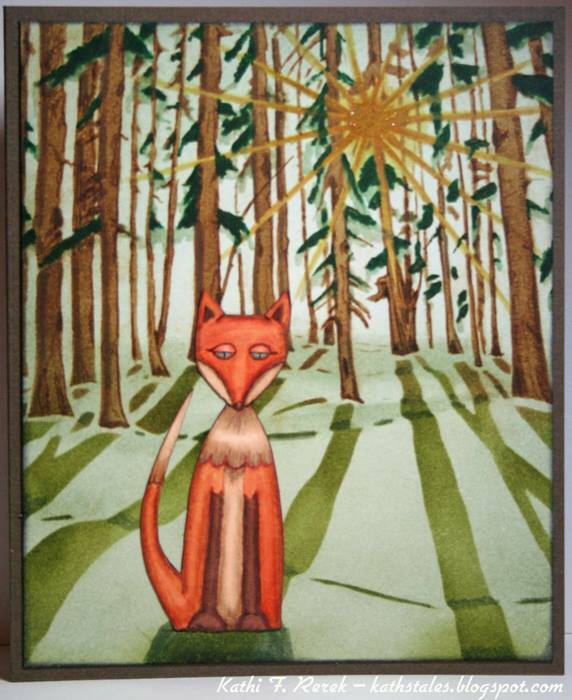 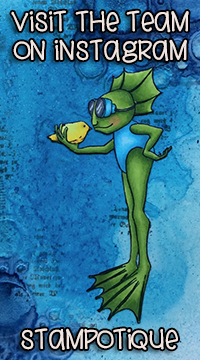 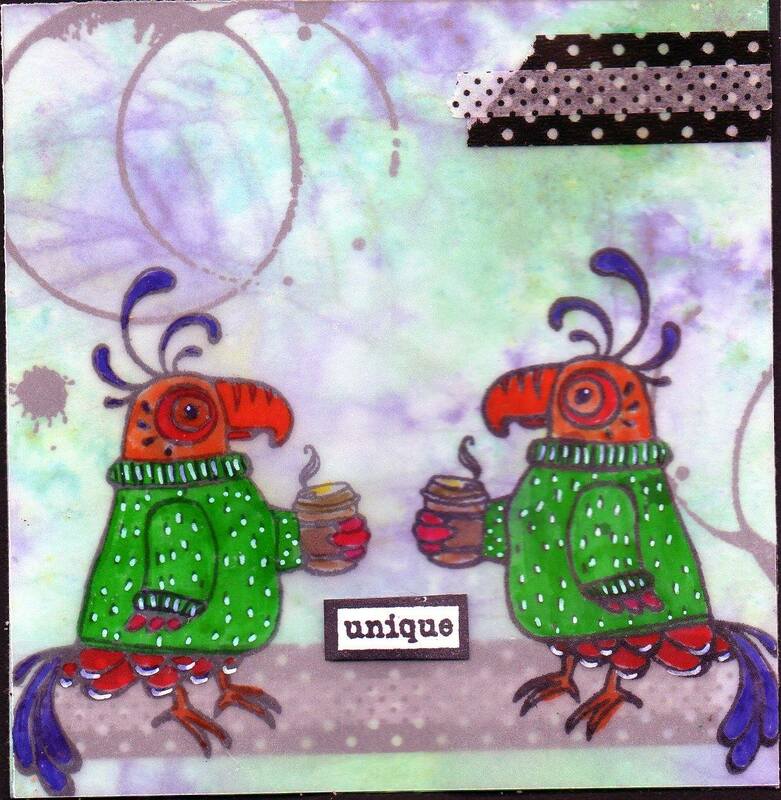 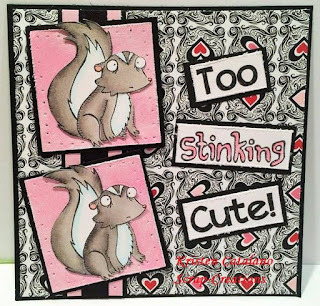 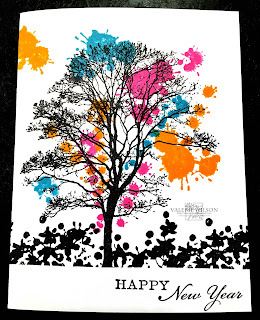 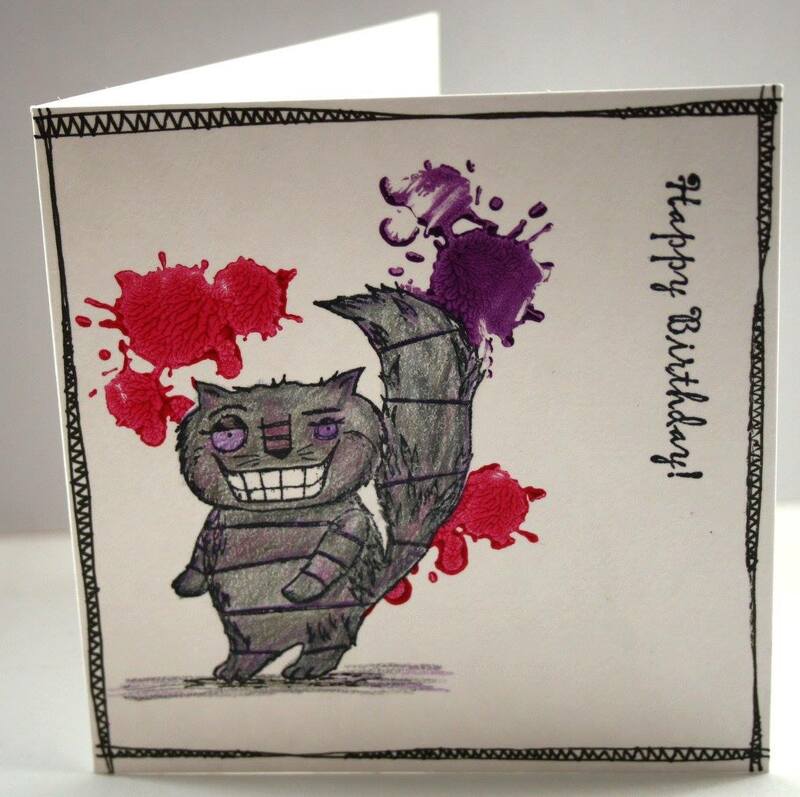 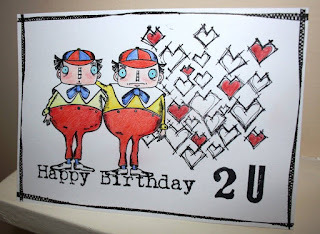 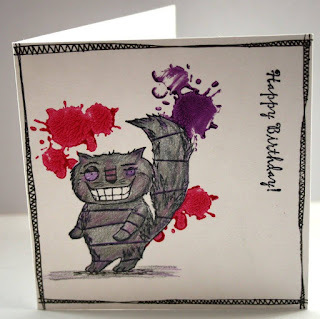 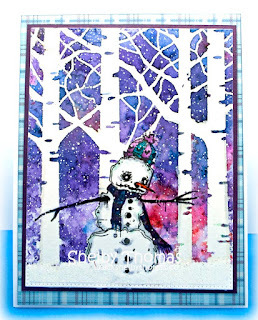 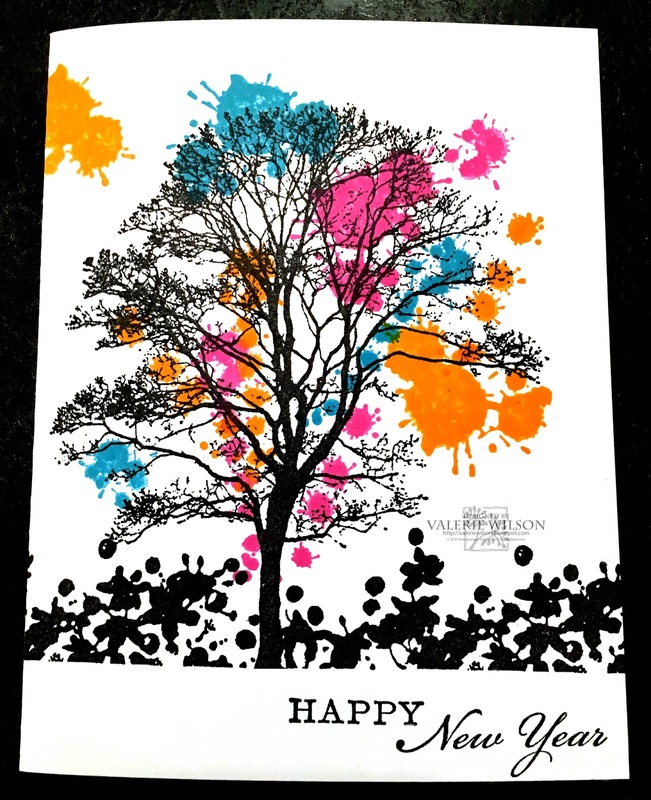 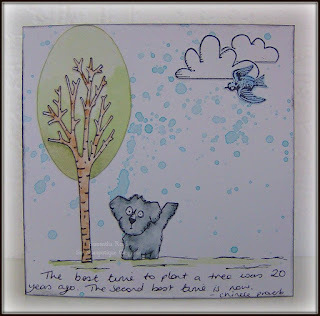 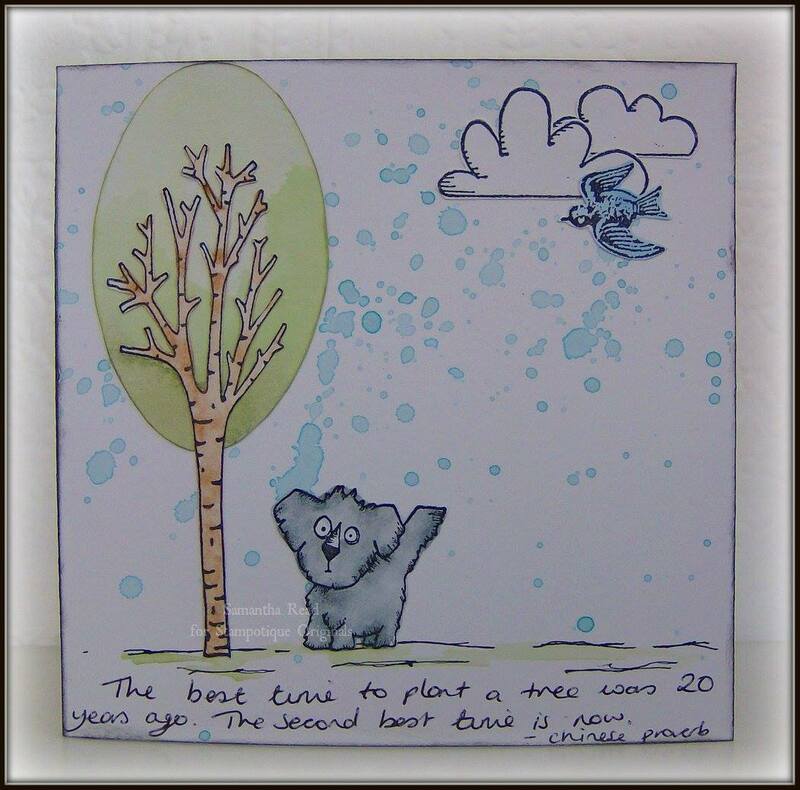 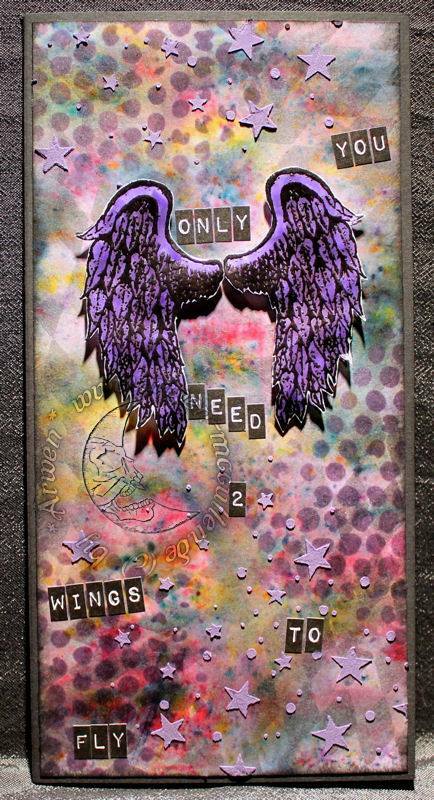 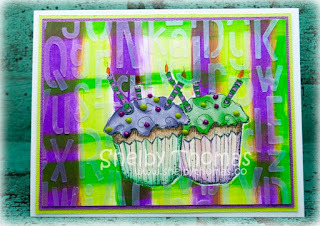 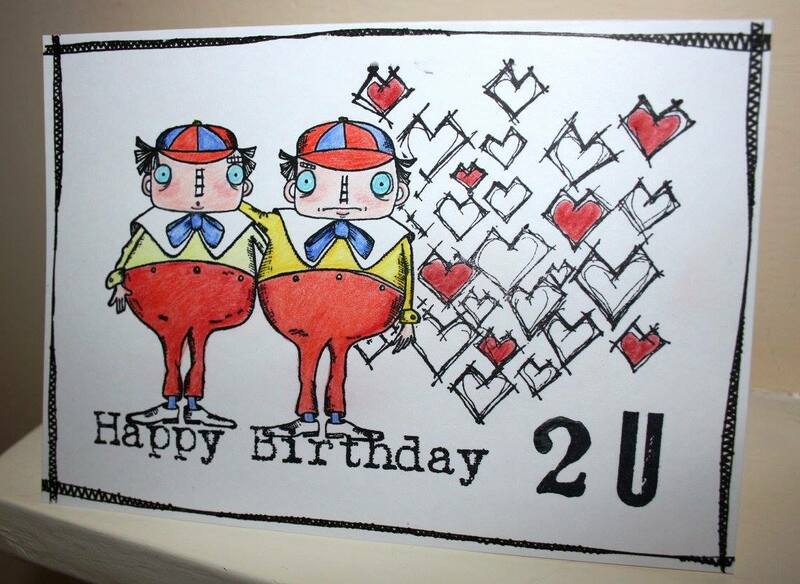 This week, we have a special challenge theme of 2's celebrating the 2nd anniversary of the Stampotique ATC Swap facilitated by the lovely Nikki Woodward. 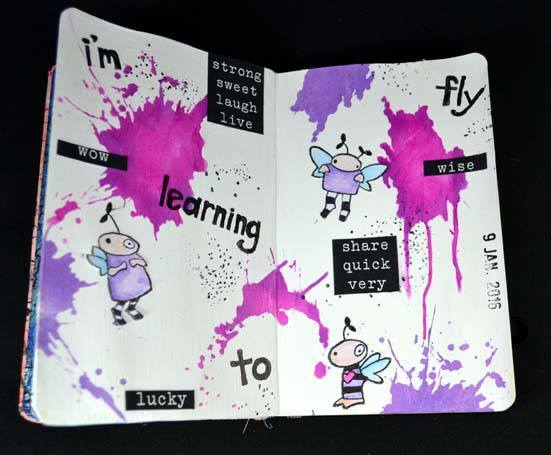 Players in the swap all share a love of Stampotique images and have developed a great deal of goodwill and trust in each other. 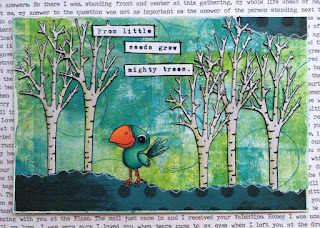 Since January 2014 there have been 18 ATC trades with 1272 ATC's mailed internationally! 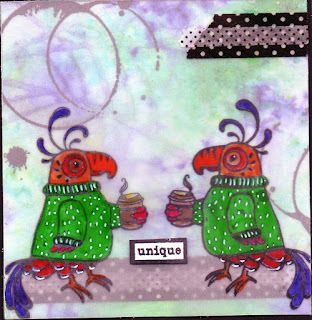 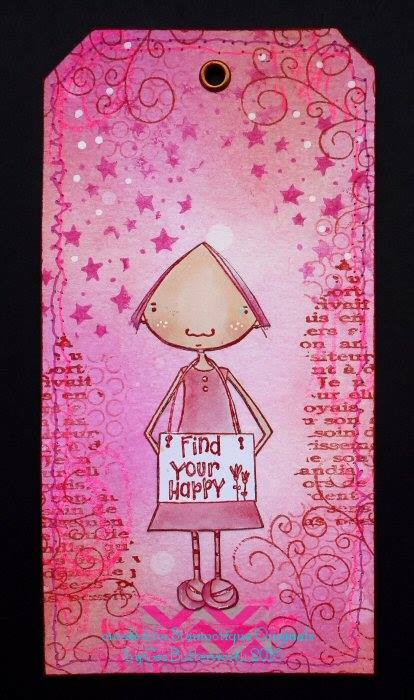 Grab a cup'a and visit the Stampotique Facebook photo albums to enjoy browsing through all of the ATCs made for each theme! 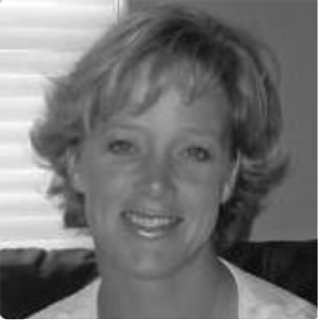 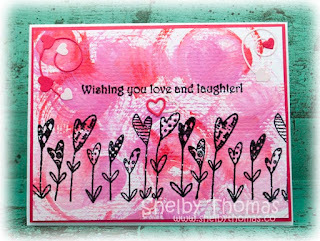 We would also like to thank the talented Shelby Thomas for guest designing this month! 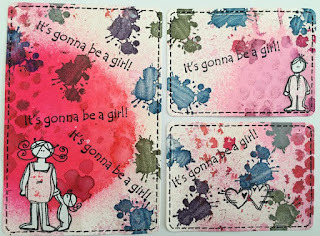 It has been so fun to have her creating with us. 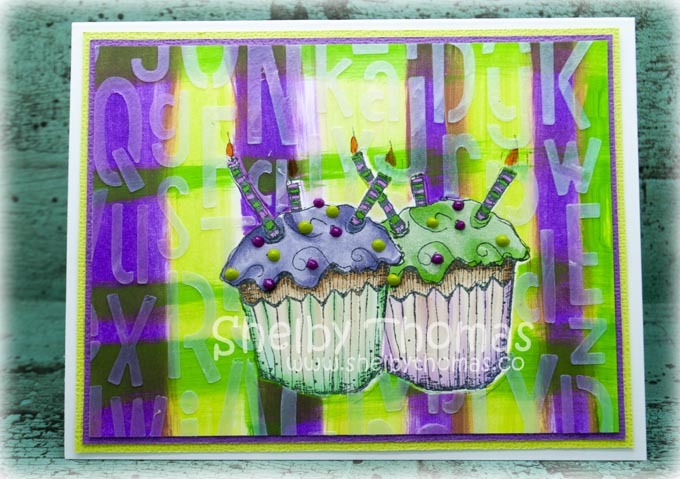 Thanks Shelby!! You can interpret the theme of 2's any way you want. 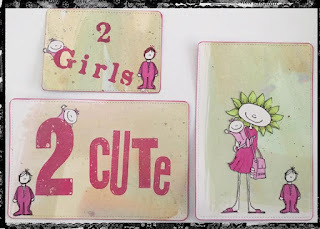 Duos, mirrors, the number two, duplicates - whatever comes to mind. 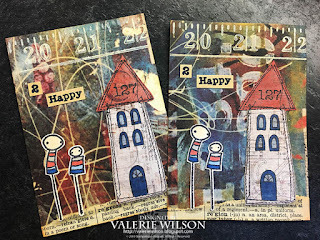 This month's ATC swap players are joining the design team and Shelby Thomas to provide you with oodles of inspiration to play along! 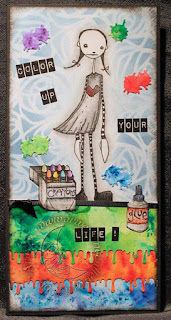 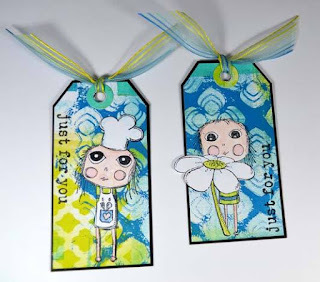 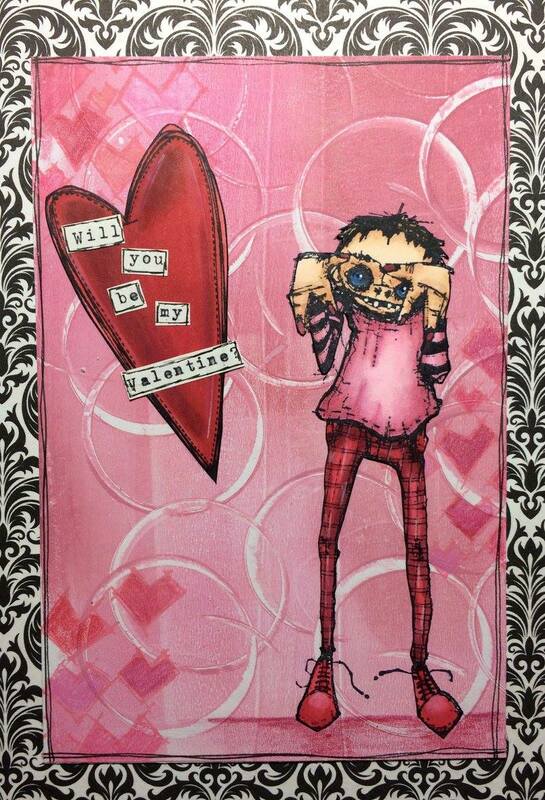 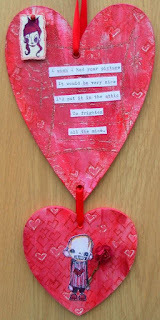 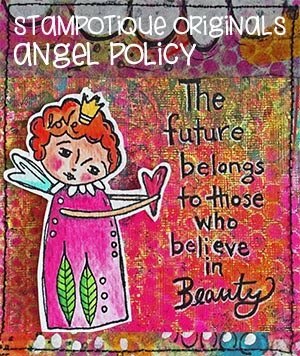 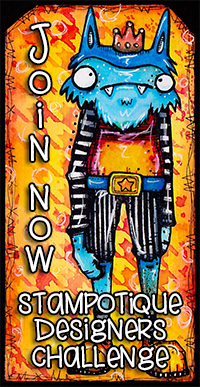 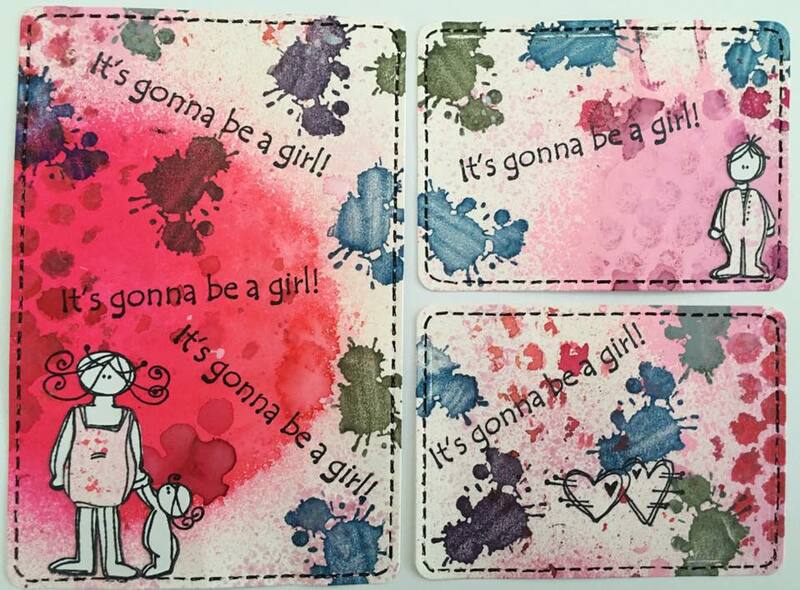 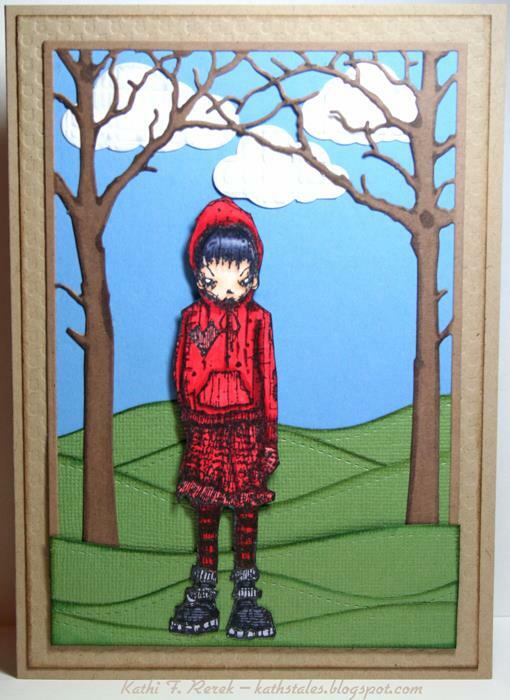 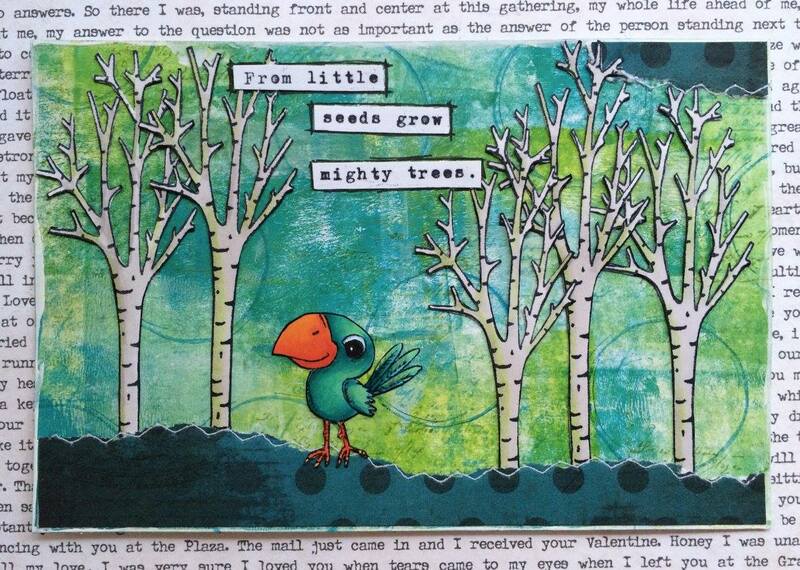 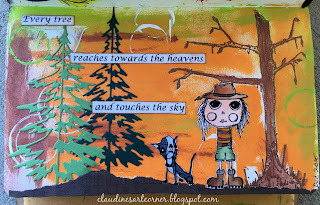 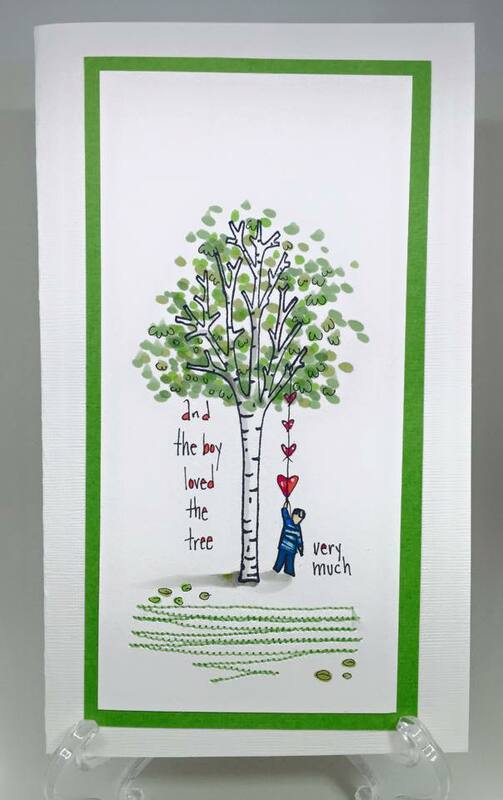 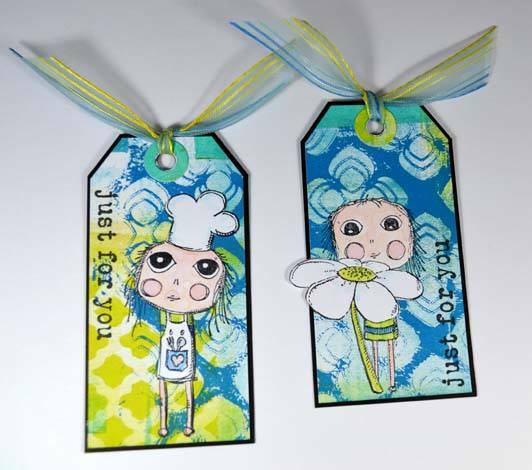 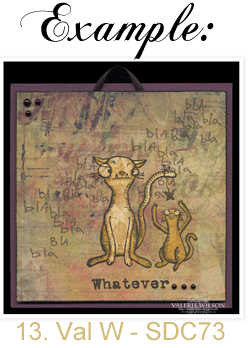 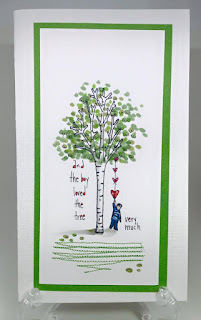 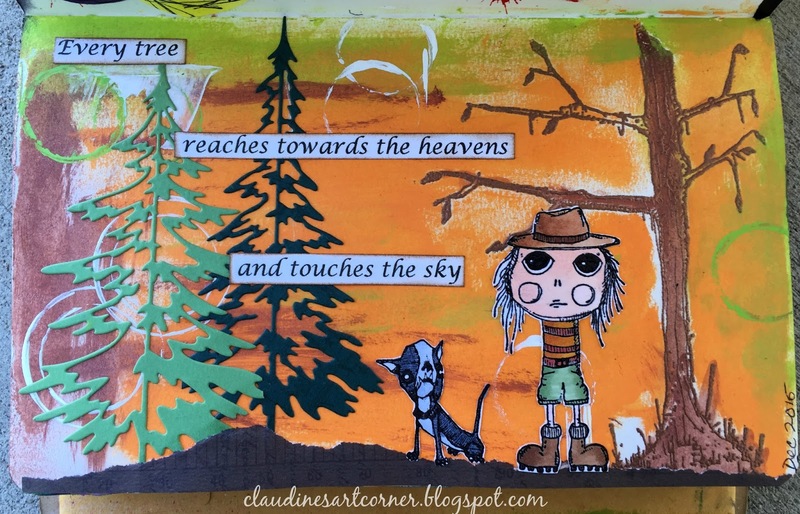 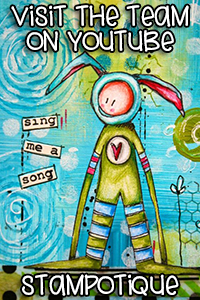 Eye candy - all of this month's fabulous ATCs! 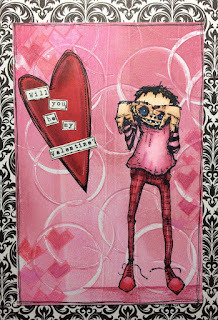 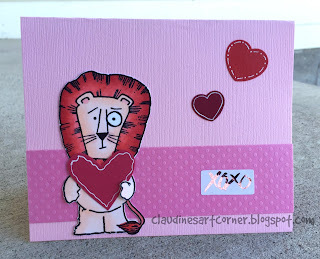 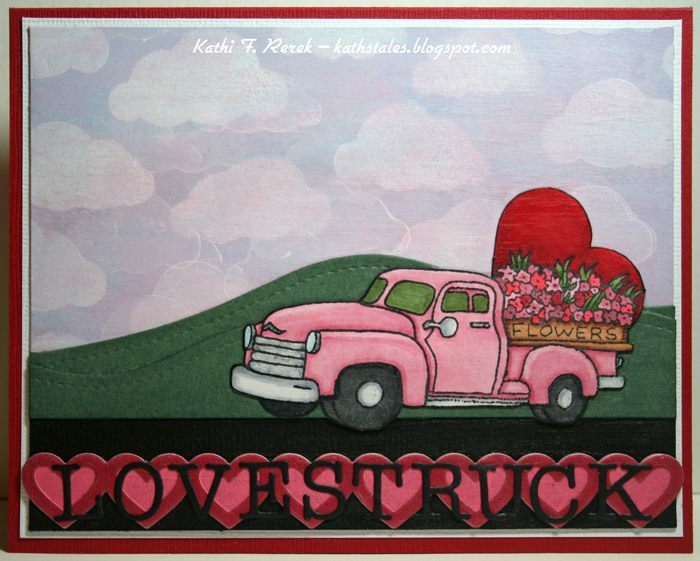 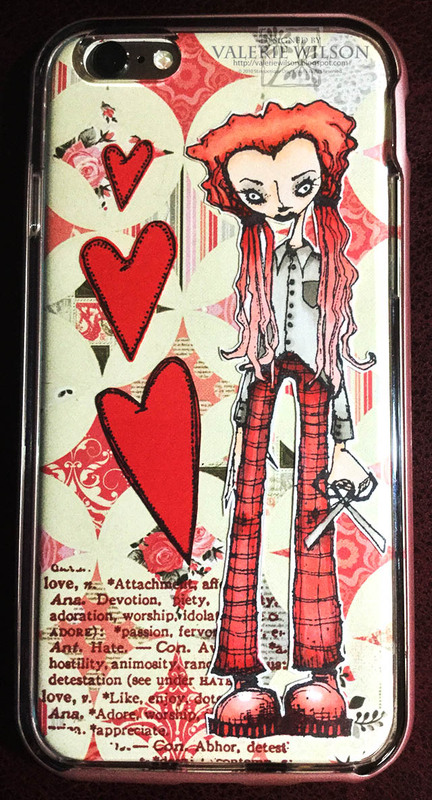 "Use only Hues of Reds and Pinks"
"With Valentine's Day around the corner we have all seen hues of reds and pinks, I challenge you to create a Stampotique Valentine's Day creation inspired by reds and pinks"
Welcome back to another challenge over here at Stampotique. 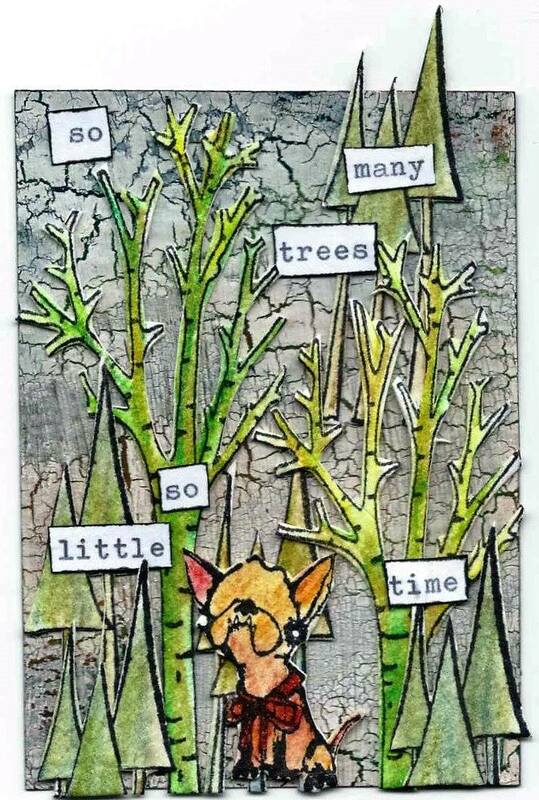 We had so many wonderful entries for our Tree challenge last week. 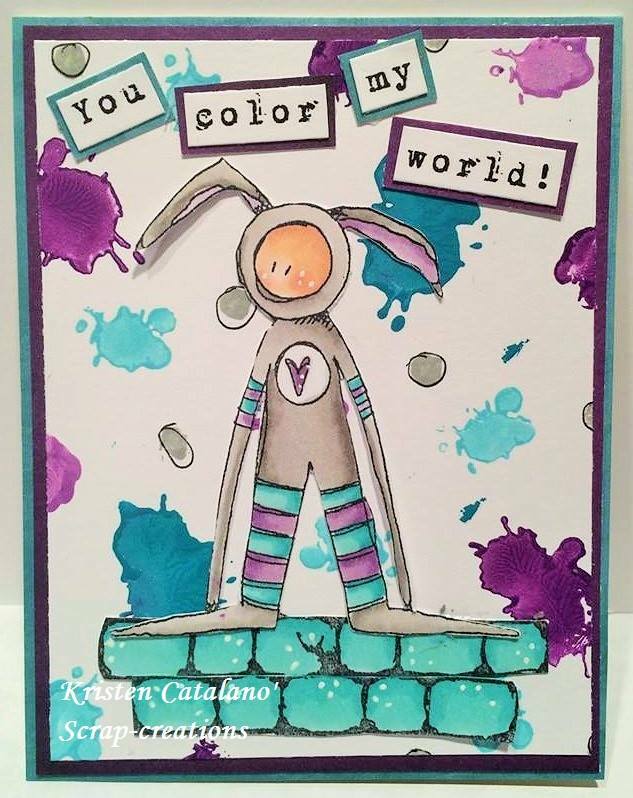 What fun and amazing creations! 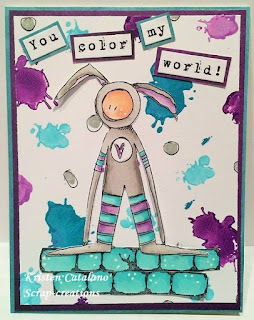 This week Arwen McCullen is our hostess and she is challenging us to "Color Blobs"
"I would like to see different color Blobs in your project this week"
Below our design team has come up with some amazing inspiration for this challenge.